It’s official – I have food aversions and serious cravings. Yesterday at work someone was toasting a bagel in the break room. Guys… I’ve never done hard drugs but I can only imagine that I felt like a heroin fiend jonesing for a fix. 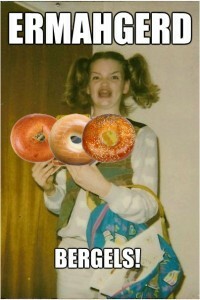 I have never wanted anything so badly in my life as I wanted that bagel. I came so close to asking this guy if I could have it (awkward much?) 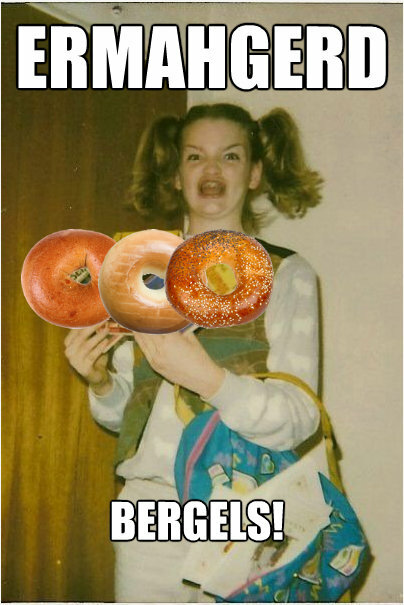 Bagels. I thought about them for the rest of the day. I had already eaten breakfast and wasn’t the least bit hungry, but I physically needed a bagel. When some of the girls went out for lunch I had them stop and pick me up a bagel. And yes… eating it was a soul altering experience. It was the most delicious thing I have ever eaten in my life (that’s no exaggeration). So of course this morning I stopped and got half a dozen bagels to tide me over for the week (day?) These past few days I’ve been craving bread/carbs/pasta in a serious way. Things that make me wanna puke? Eggs. The thought of an omelette turns my stomach. This really pisses me off because I love eggs and omelettes. I raise chickens, for heaven’s sake. 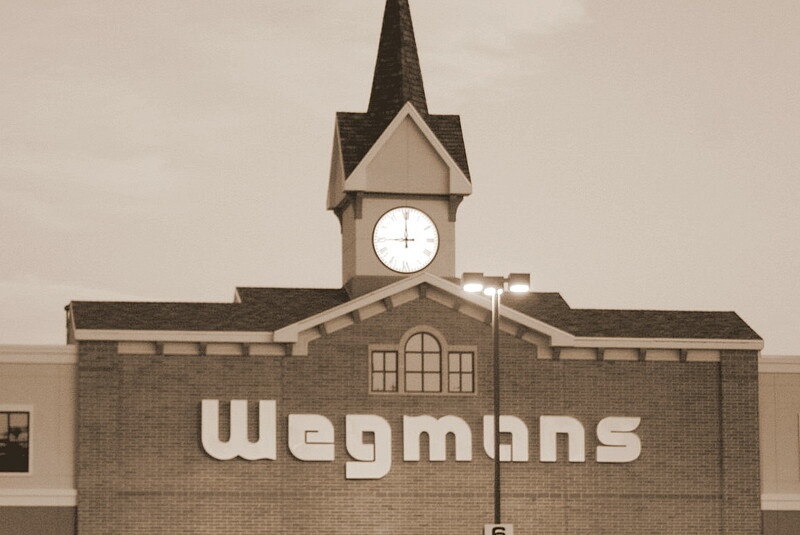 I don’t know where all of you live and shop, but I can say with certainty that if you don’t live near a Wegmans…I’m sorry. There’s just something about that place that makes me happy the moment I set foot in the door. Are some things more expensive there? Yes. Is the pleasant shopping environment worth it? Oh, hell yes. 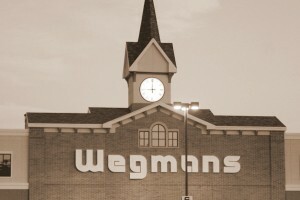 And Wegmans at 8:30 on a weekday morning is downright inviting. There’s hardly anyone there, it smells amazing, you can pick up a fresh cup of coffee (salted caramel flavored – YUM), a half dozen freshly baked bagels and the creamer that your husband goes through like it’s going out of style. It’s all employees buying each other coffee, chatting and warmly greeting you. It’s just so… familiar. Pleasant. Lovely. Hey, I love Bottom Dollar for a bargain, but when it comes to enjoyable shopping experiences there’s really no place like Wegmans. Sorry that this post is all over the place. I go from bagel love to grocery store love in one sentence flat. Now on to the next topic – this blog. A lot of infertility bloggers have voiced concerns over transitioning to a week-by-week pregnancy blog/eventual parenting blog or whether they should just start a new blog altogether. Just to clarify my position – BBToast is and always will be a blog about my life. It started out focusing on all of our animals before taking a wild turn to IVF and eventually landing here at the terrifying world of early pregnancy. I will continue to use it as a platform to document what’s going on in my life – be it pregnancy, parenting or going off the wall crazy. I am sorry to lose any readers who might not feel emotionally able to follow along (though I do not blame you AT ALL), but I wanted to at least give an overview for the future. This blog will change along with my life and circumstances, and for the foreseeable future I promise to keep updating as much as possible. I would also never abandon it completely without a proper goodbye.